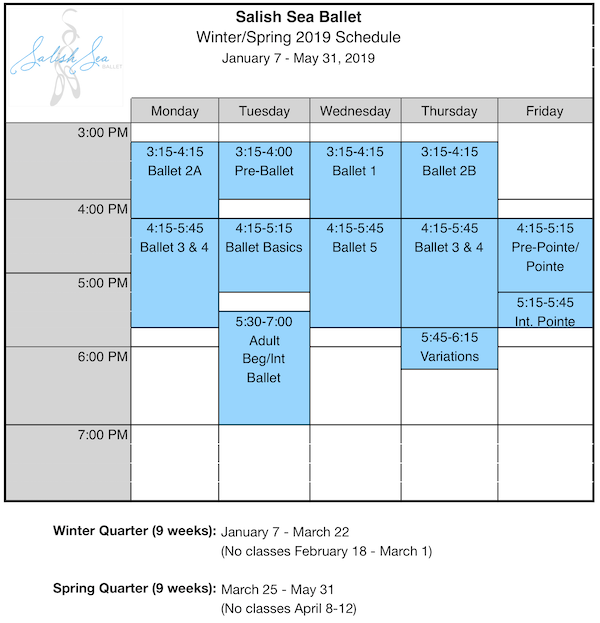 Salish Sea Ballet offers a wide range of ballet classes for all ages and levels on a weekly basis, as well as special events and workshops throughout the year. Contact us for information about class placement and registration. Private lessons and ballet birthday parties are also available. We offer master classes and custom ballet programs (one time or ongoing) for groups such as homeschool, students from off island, and seasonal residents. Contact us for more details!